Bach�s cantatas are settings of sacred texts (and secular texts, for a handful of them) to music, in a structure that alternates chorales, arias, and recitatives. While the music is eloquent enough to speak for itself, Bach worked hard at marrying the tone of his music to the texts. At times, individual instruments and melodies were chosen to correspond to specific verses and words. While the cantatas can be appreciated for the music they contain, a deeper exploration of their texts can help listeners to understand the reasons behind many of Bach�s musical choices. 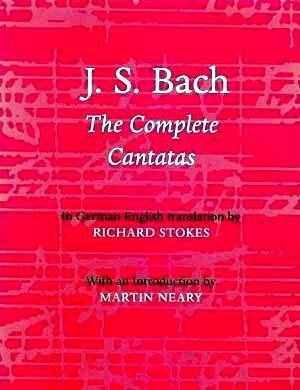 This book contains a parallel translation of the texts of all of Bach�s more than 200 extant cantatas. Each cantata is presented with its BWV number (the standard Bach catalogue number), its title, the author of the text, or the biblical reference, for chorales, and the texts of each individual movement. These are not singing translations - no attempt is made to rhyme the texts, which would be an aberration. It is nearly impossible to translate poetry in rhyme and maintain the same images and ideas, for the simple reason that the same words do not rhyme in one language as in another. When examining some of the translations provided in liner notes of cantata recordings, the quality is variable. The groundbreaking recordings by Gustav Leonhardt and Nicolas Harnoncourt contain the most aberrant translations - the German word order is often retained, leading to some ridiculous texts that make little sense in English. The texts in Helmuth Rilling�s set are somewhat better, though they bathe in pseudo-archaism, which renders them far too obscure. Philippe Herreweghe�s recordings contain far better English translations, but they remain full of "thees" and "thous", which are anything but modern. For this is the main problem with translations of such texts - translators tend to use archaic language, in English, because the best-known Bible remains the King James� Version. This text, to our ears, sounds both archaic, yet biblical. The problem with this book is that the translator did not stray sufficiently from this tradition, and presents texts that are, at times, archaic and confusing. He tends to retain the German word order in many cases where this is not at all acceptable; cantata 134 contains a recitative (section 3), and the alto�s first line in this section is, "The power of love is for me a banner/For heroism, for strength amid the struggle�" I would have phrased that as, "The power of love, for me, is a banner�" In cantata 166, he translates the title, "Whither goest thou? ", which is as archaic as one can get, yet translates the same words, later in the text, as "whither do you go?" Personally, I would rather not whither, and say, "Where are you going?" in both cases. The entire translation has these hints of archaism that could have been avoided. In order to make an "old" text more accessible, translators tend to use contemporary language. As a translator myself, I have been confronted with this issue; the best solution is to use the language you are familiar with, rather than try and adopt a style that dates. In any case, this is an admirable project, and one that is indeed useful for fans of Bach�s cantatas. Having all these translations in one book is very practical, and, since they are better than most of the translations found in liner notes, provide a textual background to this essential sacred music.